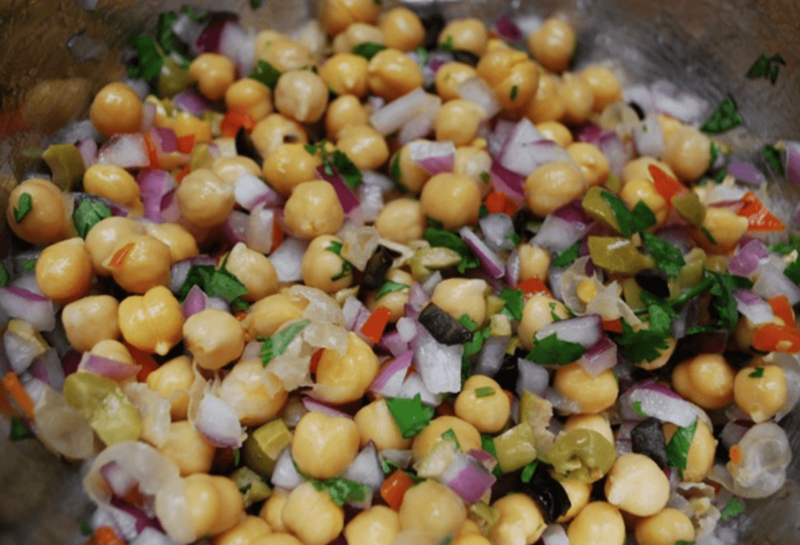 Put the chickpeas in a big mixing bowl. Finely dice the peppers, if you don't like it too spicy remove the seeds. Slice the onion in half rings. Mix all the ingredients together and add salt and pepper to taste. You could make this into a full meal when adding some grilled chicken.